Welcome to Benchmark Door serving the Chicago area. Our goal has been ensure the complete satisfaction of every customer, while offering knowledgeable and friendly service at affordable but competitive rates. At Benchmark Door, our services cover all types of projects including: Install, Sales, Service and Installation of Residential, Commercial and Industrial. We offer repairs, service and replacement for springs and cables, tracks and rollers, chain belt and screw drives, openers, keyless entries and radio control, safety sensor systems, motors, weather seals, hinges and locks, section replacement. We have built our reputation on our commitment to providing quality service, which has earned us many valuable customers. Our hope is that you will feel confident in our ability to meet your expectations and know that our customers are always our number one priority and focus. Give us a call today and allow us to answer any questions or concerns that you may have. We look forward to speaking with you. All work is GUARANTEED for PARTS and LABOR. WE'VE DONE MORE DOORS. Comments: George was on time and very competent. Comments: They were very professional and very efficient! The installer came over right away and installed the doors and he was very polite and did an excellent job installing the new doors. I cannot rate the company more than 5 stars but I would if I was able! Comments: The door installer was kind and answered questions that I had. I like that in a company. Also the salesperson was very kind when coming out to do an estimate on the garage door. The customer service rep was very helpful in the office also. She was polite and answered all my questions in a kind manner. 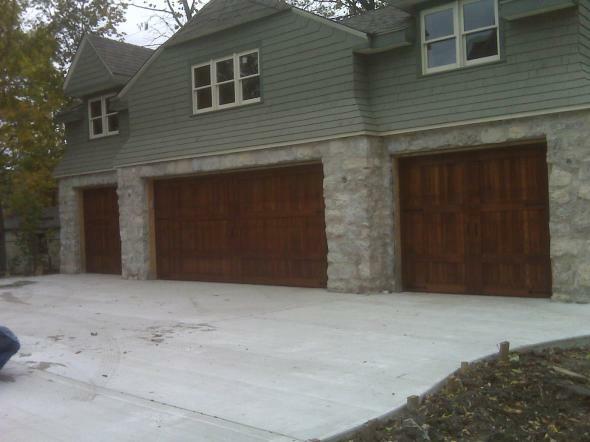 Needless to say I like my new garage door from Benchmark and want to thank them for a job well done. 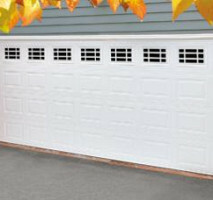 I give them a five star rating because they went out of their way to make the garage door order happen. Comments: To start with their response to my request for an estimate was immediate. I received a call first thing the very next morning. The gentleman I spoke with was able to answer my questions and give me an estimate on the phone so we set up an appointment for the following week on a Friday morning. The workman showed up exactly as scheduled at 10:00 am and went right work. The job was completed in less than an hour and I was charged exactly as quoted. He was very polite and professional. I would absolutely recommend Benchmark to friends and family in the future. Thank you. 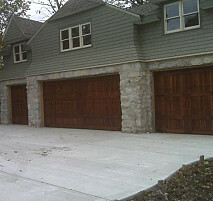 Work Description: They do all of our garage doors in our community. Comments: Nothing but good things to say about these guys they do great work.